The images which brought Derry to international attention in the late 1960s continue to define how this city is viewed today. The Picturing Derry project will, for the first time, bring the collected photographic iconography of the Troubles in Derry together for exhibition. The exhibitions will juxtapose insider and outsider views of the city from the eruption of street protest and civil strife in 1969 and the final decade of the Troubles. 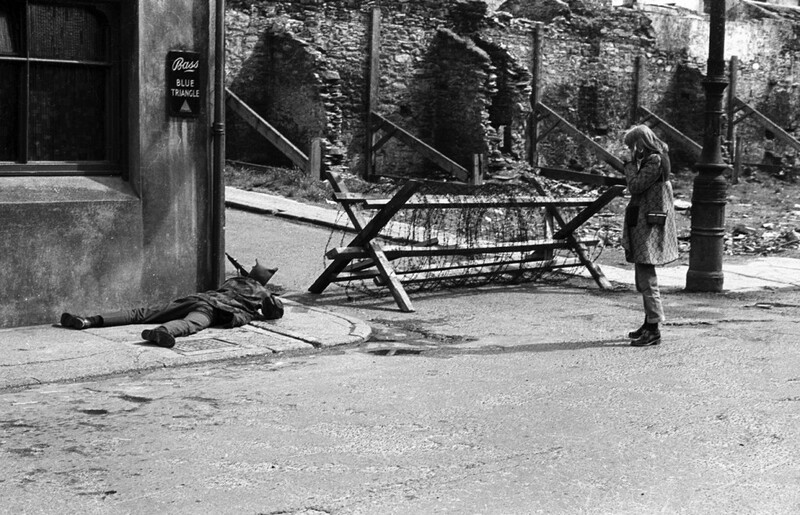 Photographers from the city – Willie Carson, Larry Doherty, Eamonn Melaugh, Barney McMonagle – made iconic images of individual or family stories and more public moments of spectacle, drama, and tragedy from the conflict. They were using their local knowledge, contacts and wit to cast a light on some of the previously unseen elements of life in a conflicted society, while photojournalists from news agencies across the globe dropped into and out of the city on a regular basis. Photographs by troops on tours of duty in the city told their own stories of an army in conflict. In Camerawork, working with international curator Trisha Ziff, a local community challenged stereotypes, and developed an innovative model of participatory photography expressing community identity. Curated by Declan Sheehan, Picturing Derry is a partnership between Culture Company and Nerve Centre. The exhibition is shown in Berlin as part of the transnational exhibition “Beyond the Walls” of the EU partnership project “OPEN THE SHUTTERS“, funded with the support of the Culture Programme of the European Union. During the project it is also shown in Dery and Dubrovnik.